<!-Eric Gill. 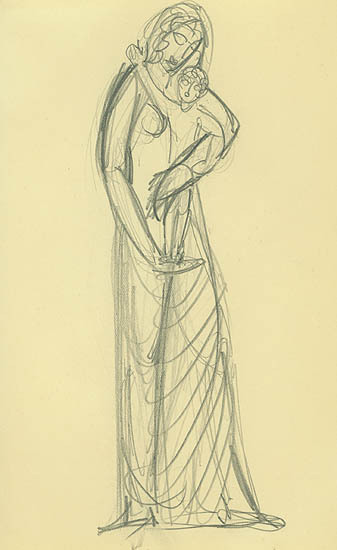 1882-1940--> Eric Gill. Mother and Child - Facing Right. Mother and Child - Facing Right. Pencil drawing. 7 1/2 x 2 3/4. 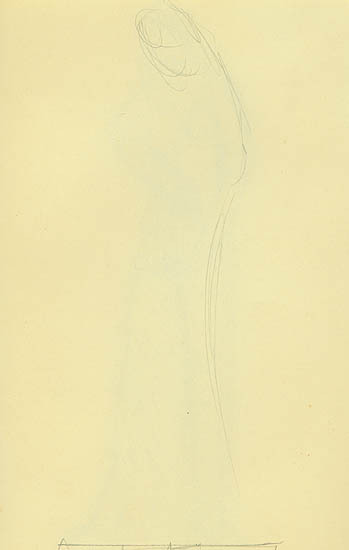 A sketch on the verso, Mother - Facing Right. 7 7/8 x 3 (sheet 8 x 5 1/4). Drawn on cream wove paper. Unsigned. $2,750.